It’s #MusicalMondays time! I start my new job today so how about this… what’s your dream theatre job? This can be on the stage or off it! I was really excited to hear everyone’s dream theatre career ideas but of course you can’t go wrong with a classic on-stage role! I’d have loved a career on the stage but unfortunately my talents only seem to lie in dancing. I’m not a confident singer and it got to the point as a teen when I realised it wasn’t going to happen for me. A shame but I still have my amateur theatre to keep me happy! I think, based on my current career, Rebecca’s suggestion is probably a bit more achievable! 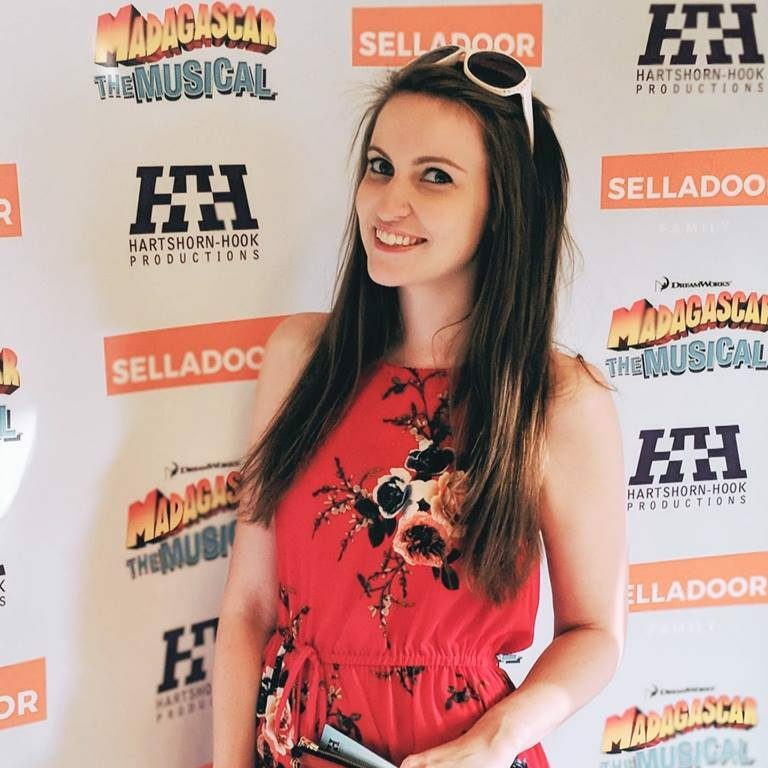 I have looked for PR jobs in the theatre world many times and would love to be a press officer for a theatre, arranging press nights and making sure guests are looked after! She can certainly rock a suit better than me! I have done some TV work at university but radio was actually my thing. I presented a breakfast show for two years which I loved but again it was the marketing side that grabbed my attention more. So how about me? Well I think I’d have to agree with Rebecca Usher and say that something in PR would be a dream job, although I would hope that it wouldn’t take away the love of theatre from me! Some people say you should keep your hobbies as hobbies but I can’t see me ever getting sick of the theatre. I think if I was with a big company such as Delfont Mackintosh or ATG then I’d be in my element as I love a big West End musical! But for now, I am quite happy with my new venture as a PR & Content Marketing Executive with an agency. My first day was great! Look out for next week’s Musical Mondays question. And thank you to everyone who wished me good luck on my first day!